Imagine this. 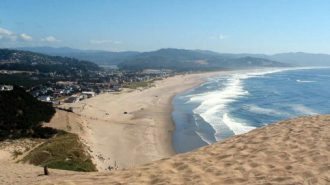 You’re traveling to your favorite camping spot to celebrate Memorial Day. 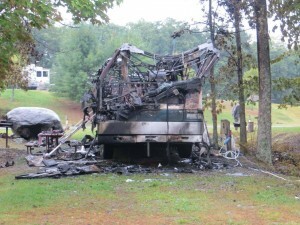 Suddenly, while rolling at 60 miles an hour, your fifth wheel bursts into flames! Don’t let this happen to you. 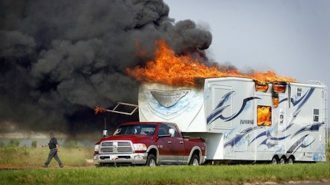 You can prevent fire in an RV. This family escaped harm, but your family could be next. Don’t wait till something happens. Prepare now to avoid danger. 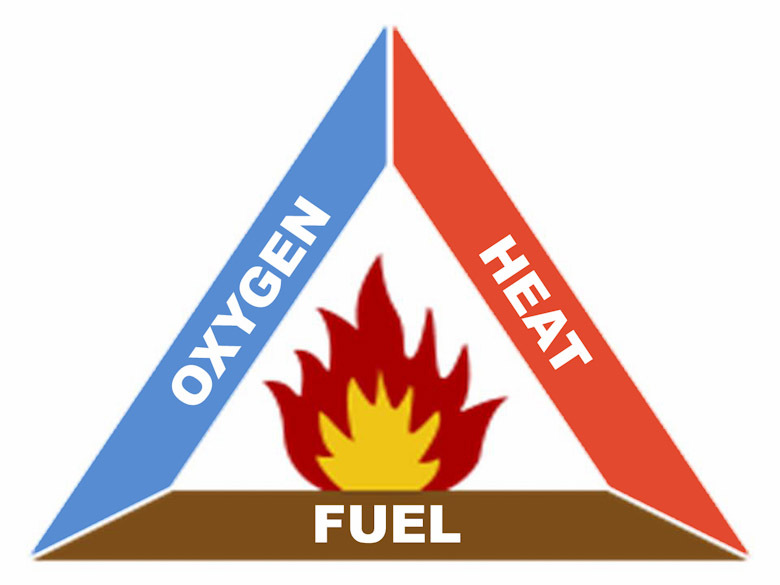 This article will walk you through the steps necessary to keep your rig safe from billowing flames. 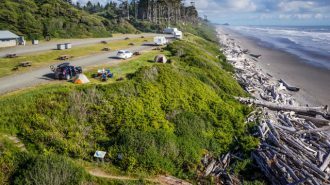 Whether you own a Class A, Class B, Class C, a travel trailer, fifth wheel, or camper… for safety, you need to know the most likely trouble spots. 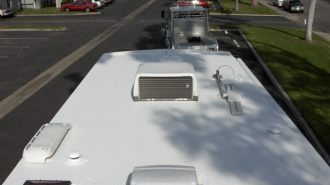 There are several areas where RV fires can start, but the fridge and the engine are at the top of the list. 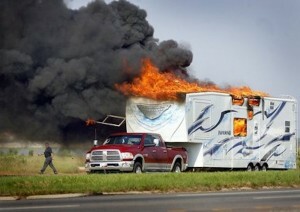 Electrical shorts in the coach can also contribute to sudden flames. Combustibles like curtains, towels, paper plates, and simple grease fires can start kitchen fires. Other trouble spots include: a dragging brake, which can ignite the brake fluid, and rubber hoses in a radiator, or a heater hose. Create a troubleshooting checklist and follow your fire safety inspection each month. There are different types of extinguishers to fight a fire in an RV. The first is dry chemical. 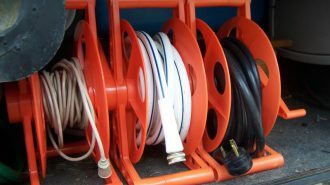 A dry chemical extinguisher is a popular choice for the inside of your rig. This extinguisher must be accessible. A dry chemical extinguisher sprays a fine powder over the fire using pressurized nitrogen. 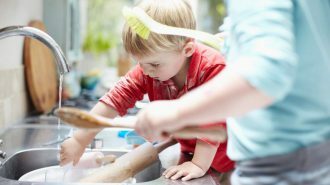 It’s used on electrical fires, as well as kitchen fires, but remember these chemicals are toxic. 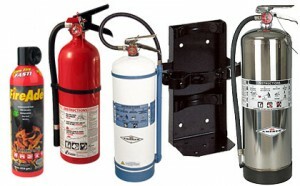 A CO2 or carbon dioxide extinguisher is helpful in various kinds of fire. These extinguishers suffocate the fire, by creating a high pressure frost or dry ice. As with any fire extinguisher, be sure to check your unit every six months. Watch for pressure leaks as they may need servicing. 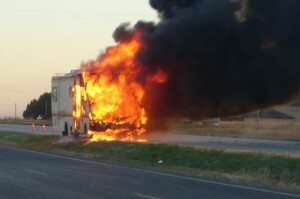 Believe it or not, you can install an automatic extinguisher to help you fight fire in an RV. 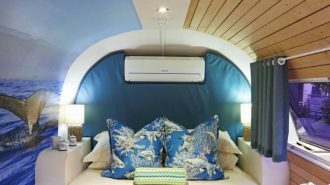 These units are usually installed in the basement or storage compartment of the coach. 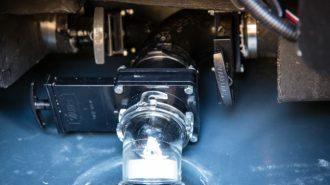 ColdFire extinguishers remain connected within your engine bay. 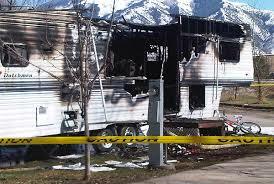 Automatic extinguishers provide extra safety in case of an RV fire. 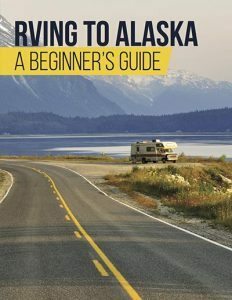 Every RVer needs a two-exit strategy. Take time to look at your windows. Which windows are easy to open? Do you have safety windows installed in your rig? Consider leaving a step-stool outside your window, in case of emergency. Once you exit the coach, where will the family meet? How will you get your animals out? 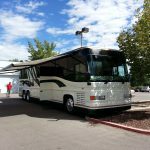 Practice your exit, and make sure that everyone in your RV knows what to do. If you have visitors staying with you, make sure they know how to open and close both the windows and doors. Everyone in your party should know how to unhook the electricity, and close the propane valves. They should know where the fire extinguishers are, and how to turn them on and off. 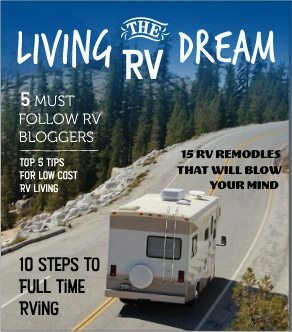 Every RV should have a fire extinguisher in the bedroom, kitchen, and engine compartment. 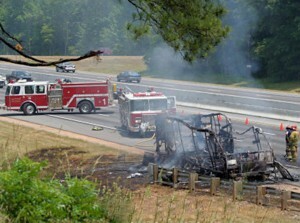 It is also a great idea to have an extinguisher prepared and accessible outside the trailer. When traveling, spend time getting to know your location. 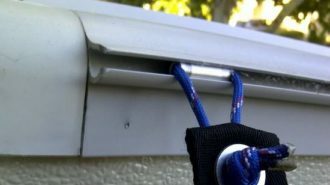 Are there neighbors who could help in an emergency? Do you have access to a phone? Are you parked amongst the underbrush or trees (both of which are flammable)? 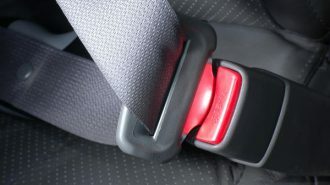 “Safety first” can save lives. Fire alarms save lives. Make sure to update your fire alarms in your rig, and don’t forget the CO detectors. 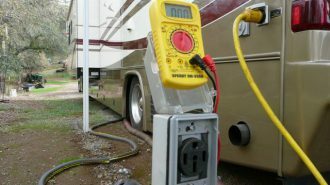 Campers can emit a variety of unsafe gasses. 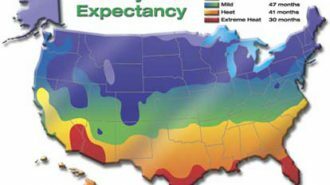 By installing a CO detector, you will avoid deadly, preventable accidents. Whether you tow or are towed, you must know how to unhook your vehicle in an emergency. Practice working together as a team, and time your efforts. The faster you can unhook in the day-to-day, the better prepared you will be for a fire in an RV. 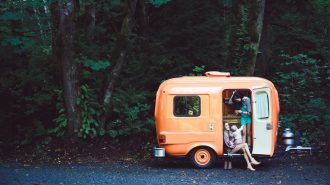 Many RV’s rely on propane systems to cook the food, and keep the fridge cold. 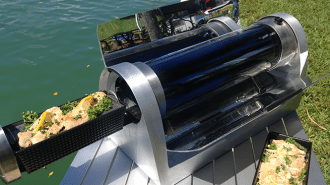 While propane is easy to use, it is also one of the deadliest features in a rig. Be sure to shut the propane off before moving your rig. 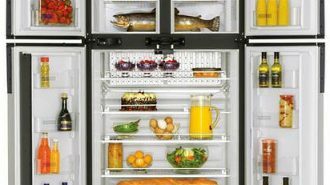 Your fridge can stay cold for many hours, without having the propane tanks on. Always check your flue before taking your rig out of storage. (A bird’s nest can be dangerous.) Remember, propane burners can overheat. 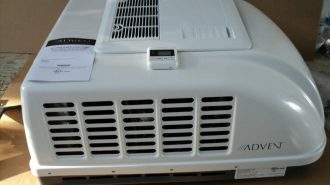 Watch the back of your fridge, to make sure it does not overheat. 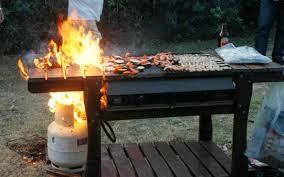 Err on the side of caution, and have your propane systems inspected and certified every year. Soiled rags, damp charcoal, batteries, and kitchen items can all cause spontaneous combustion. Keep all flammable items in containers with lids. It’s better to be safe than sorry. Remember, your gallery is a fire waiting to happen. Keep paper products, curtains, dish towels, etc. away from the stove at all times. Additional training is available at many of the big RV rallies. 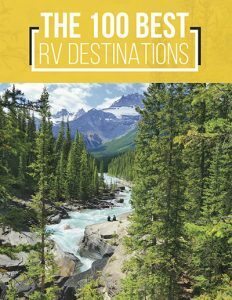 Whether you own an Airstream, or drive a Newell, RV rallies abound. Check online for a list of events. 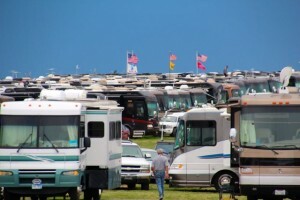 Escapees, Good Sam’s, and Family Motor Coach each host a large event every year. Fire safety is a hot (no pun intended!) 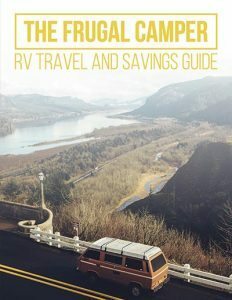 topic at these rallies, so be sure to sign up for a session and swap ideas with other RV owners. Mac the Fire Guy has spent over 13 years teaching hands-on fire safety, and also offers a variety of safety and fire resources. He is often at the rallies, ready to help you avoid disaster. Following these safety suggestions will help you avoid a fire in an RV. 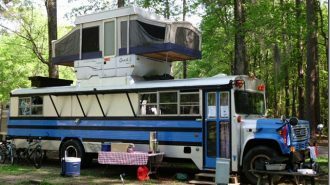 Ironically, the fifth wheel first mentioned in the article was a “K-Z Inferno.” Can you say ironic?